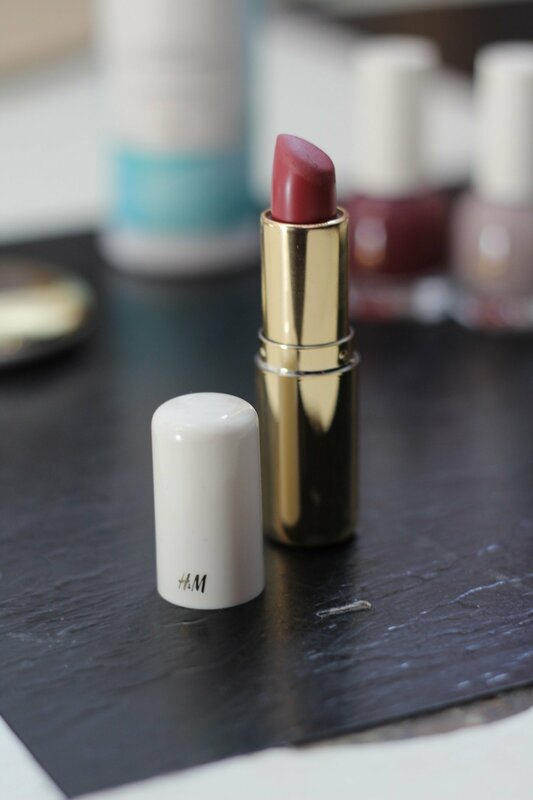 After the H&M beauty line came out I was really excited for two reasons. 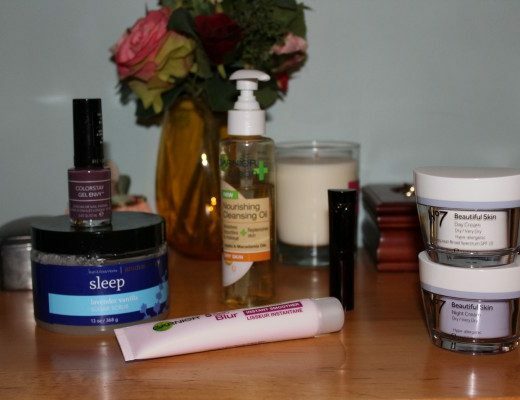 One, they came out with a TON of products and two, it was all drugstore prices! 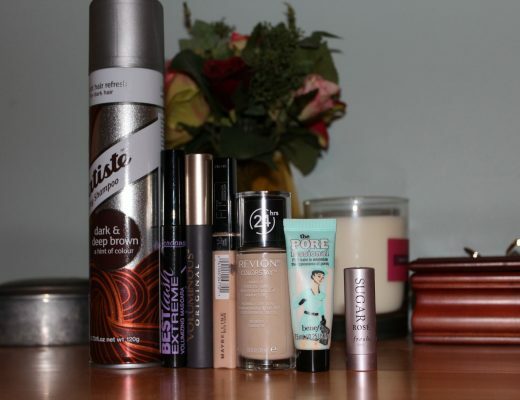 I really love finding great affordable makeup. I feel like people often think Sephora products are high quality just because they’re expensive, but that isn’t always the case, and they can end up wasting a lot of money. Anyway, that’s for another post. H&M gives you a huge selection for a great price! 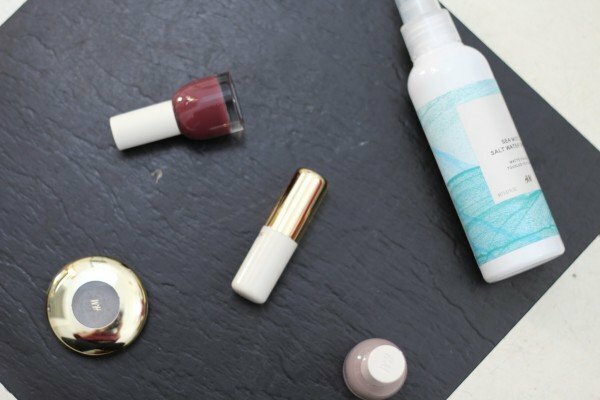 The line includes beauty, haircare, and skincare. I think that is completely crazy because you don’t see many brands starting an entirely new venture jumping into all the categories right away. Another great thing about this launch is you also have the chance you try out all the colors with a tester for each beauty product. This is incredibly helpful for the customer because sometimes the shade does not look the same in the tube/bottle/pan/etc. as it does on your skin so it’s easier to find the right shade for you. When I went into H&M I needed to use multiple cotton pads full of makeup remover because my hand was so full of swatches. I ended up with five products. I got the shades Governess and Go To Griege. I wanted to try a light color and a dark color to see how the formula did. In my experience the lighter the color the easier it is to tell if the formula is good or not. First of all, I love the brush. It is short and wide and really just perfect for application. It gives you really even coats and no streaking. The formula is the real star here. 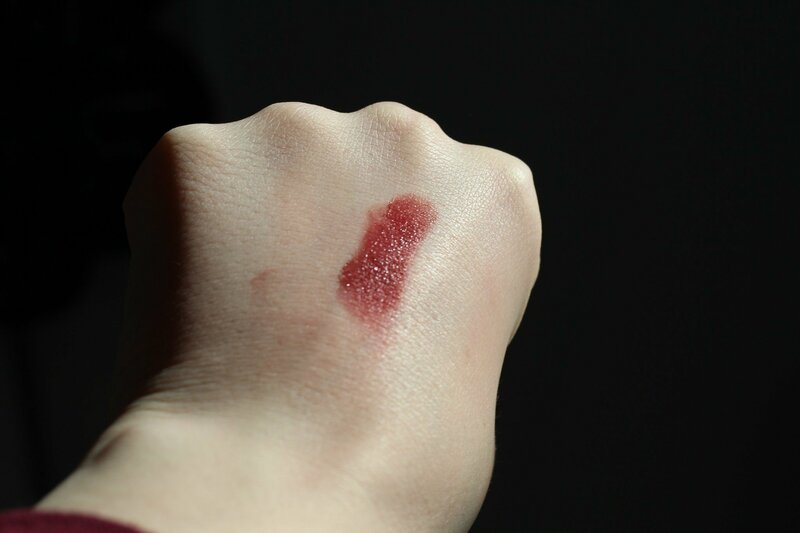 In two coats I was able to get smooth, opaque application for both colors. The lasting power is my favorite part. I usually only paint my nails once a week because they will chip and they just don’t stay on my nails that long. However with this formula it only started chipping after the first week and I was able to touch up and have it last an additional week. I did use the Sally Hansen Gel Shine 3D top coat though, so that may have helped a little bit. Overall, this formula and color selection is gorgeous. I want about ten more shades and these are slowly becoming one of my favorite nail polishes to use. These run for $5.99 and they are worth every penny. This lipstick is so creamy. That is the first thing that came to my mind when I first applied it. 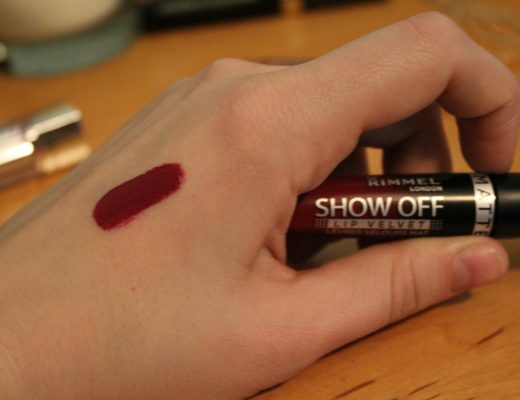 It just glides over the lips and applies perfectly even and opaque color. I was very impressed. It was so creamy in fact I suggest wearing a lip liner with this to make sure it doesn’t sneak outside the line of your lips. The wear on this formula was nice about five hours. It comes off a little bit with eating and drinking. But the best part is, with the Rust Me shade at least, it leaves a slight stain behind after the glossy/creaminess is gone. I love this lipstick and I want to buy more, but I wasn’t able to find any shades I was in LOVE with besides Rust Me. They also have a range of liquid lipsticks which I have yet to try. I picked up one shadow from the H&M line and so far I am loving it. 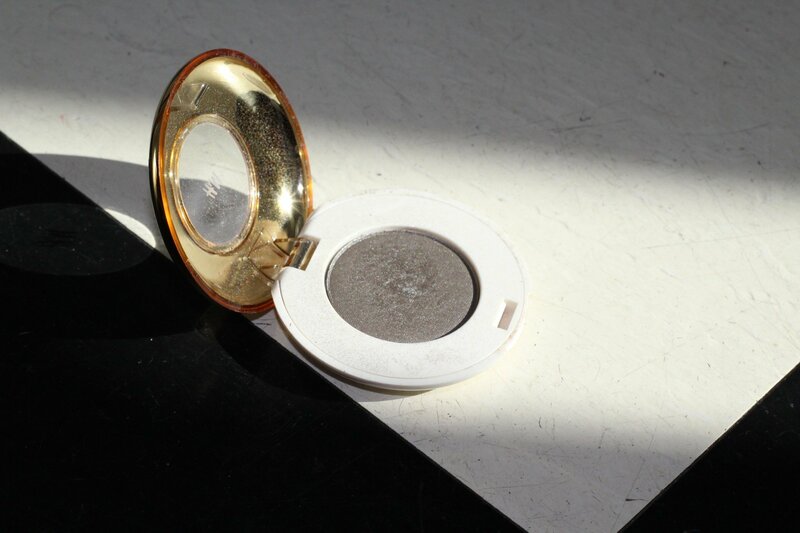 The shadow is in the shade… it has a buttery texture that has high pigment and can be easily blended over the eyelid. I like the packaging because it is simple and you can see the color easily. If you are looking for a specific color you don’t have to open every single one to find the color you are looking for. Overall this shadow was a great addition to my makeup collection. The final product I picked up was a hair product. 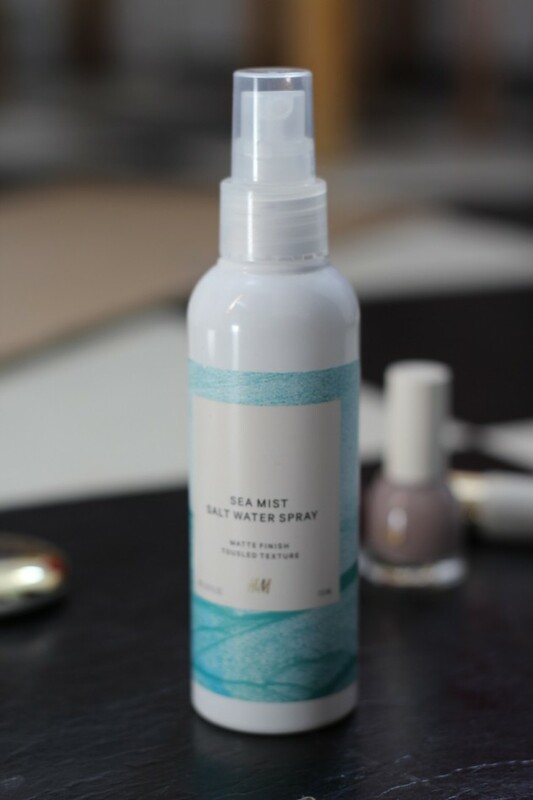 With shorter hair I like to try a lot of sea salt sprays so that’s what I went for. There is a scent, which reminds me of a salon so I don’t mind it, but if you’re not a fan of scents you might want to take a whiff of this first to check it out. The next thing that caught my eye with this product was the spray nozzle. Unlike every other spray product I have ever used, this product has a wide even spray instead of spraying a bunch in one spot. The first time it gave me really great texture, but I have tried it a few times since then and it hasn’t given me the same results. I am going to keep trying it, but I’m hoping for $6.99 it’s my new favorite hair product.